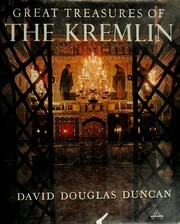 39 works Search for books with subject Russia) Kremlin (Moscow. Kremlin (Moscow, Russia), Moscow, Russia (Federation), Moscow (Russia), Soviet Union, Red Square (Moscow, Russia), Russia) Red Square (Moscow, Kremlin (Nizhniĭ Novgorod, Russia), Kremlin (Novgorod, Russia), Russia, Russia) Kremlin (Nizhniĭ Novgorod, Russia) Kremlin (Novgorod, Russian S.F.S.R. Are you sure you want to remove Russia) Kremlin (Moscow from your list?